Have your pick between our "Standard Theme" package or get all themes with the "Developer Bundle." Which price is best for you? 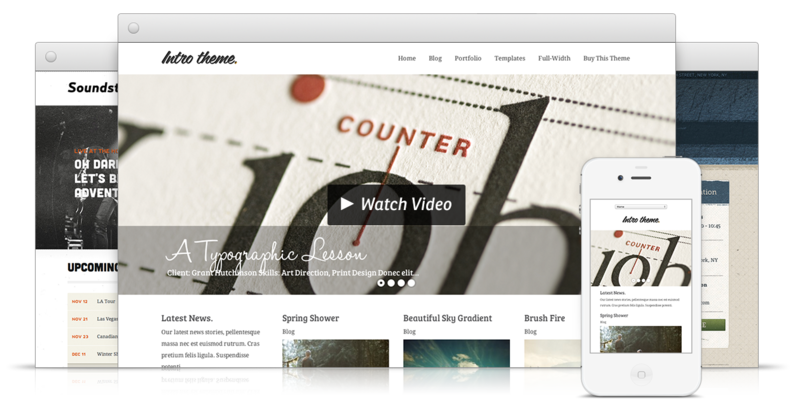 We have two different ways you can get a theme working for your website. The first is just to buy one theme. It's called the "Standard Theme." Most people who are looking for a theme for a single project buy that way. For developers and people who want more than one theme, we offer a bundle of ALL of our themes and plugins at a lower price than if you were to buy them all the Standard way. This is called the "Developer Bundle." Between these two options, find the price that works best for you! We currently accept Visa, Mastercard, and Paypal. However, we do not accept American Express at this time. I haven't recieved my receipt! The receipts are emailed to you after you purchase. Usually this happens immediately after your purchase but if it takes longer than an hour, please contact our support here. After you put in your payment information on the checkout page, an account will be created for you where you can instantly log-in and download the theme files. Also, a receipt will be emailed to you with a download link as well. Our support desk is always ready to help and point you in the right direction with whatever problems you may run into. You can reach us anytime right here. Can I use themes multiple times? Absolutely! You'll be able to activate your license on up to 20 different websites. We love watching stuff get made with our themes. You can even send us a link and we'll post it on our showcase. You'll need a domain name and a hosting account with WordPress installed. You won't need any coding abilities and you don't need to have Photoshop to edit images. There are free programs out there that can help like Gimp.